View More In Box Wrenches. Size: Multi-Piece. Number of Points: 12. Ratcheting. 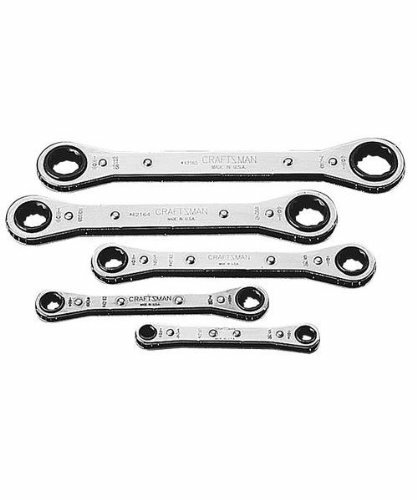 Wrench Type: Flat Box End. Number in Package: 5 pc. Material: Steel. SAE. Set includes: 1/4 x 5/16 in., 3/8 x 7/16 in., 1/2 x 9/16 in., 5/8 x 3/4 in. and 11/16 x 7/8 in. Set includes: 1/4 x 5/16 in., 3/8 x 7/16 in., 1/2 x 9/16 in., 5/8 x 3/4 in. and 11/16 x 7/8 in. Number in Package: 5 pc.